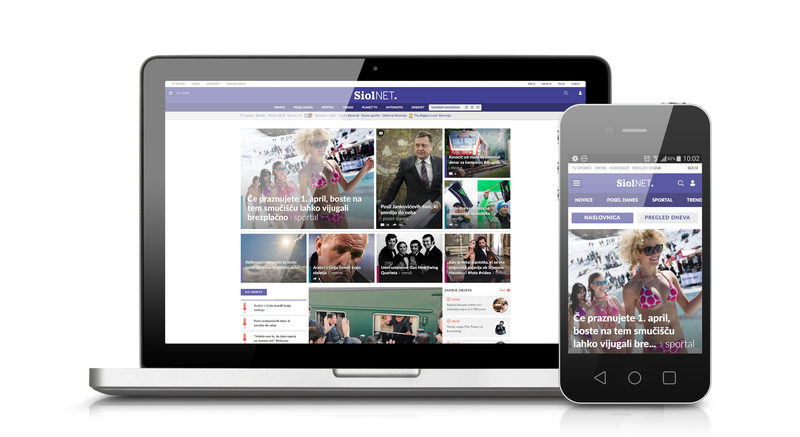 Siol.net offers you a diverse set of the latest relevant and objective news from Slovenia and abroad. It’s also the best go to medium for sports and automotive news and interesting trends. With Siol.net you get all the most important news in a heartbeat. Siol.net offers you short top news of the day. Our journalists are always on the lookout for positive stories about brave individuals, who achieved something and are contributing greatly to our society and economics. Follow the latest news on Siol.net anytime and anywhere, from morning till dawn, at home or on the go, and with the same experience on all screens and devices. Interesting local information are just a click away. Follow current news, recipes and events at najdi.si. 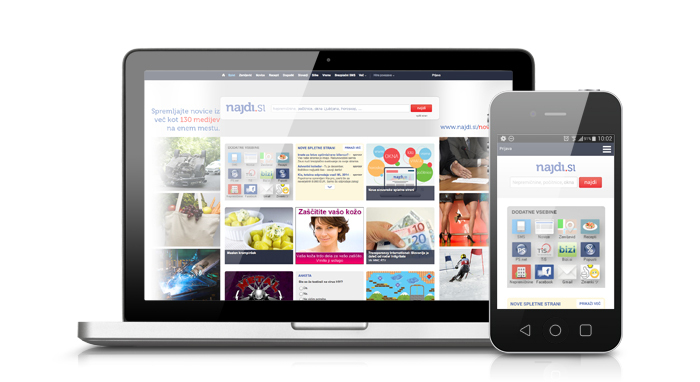 Only najdi.si enables you to access news from over 130 Slovenian sources in a split of a second. An interactive map makes sure you easily find your destination. It also offers you information on current traffic alerts and wheather conditions. You can easily access local information on your mobile device. Download the apps Najdi.si Novice (Google Play, Apple App Store) and Najdi.si Zemljevid (Google Play, Apple App Store). Browse all the latest financial, business and contact data for over 223,000 companies and organization without charge. Bizi.si offers you daily updated information on account blockage, insolvency procedures, liquidity, ratings, balance and more. 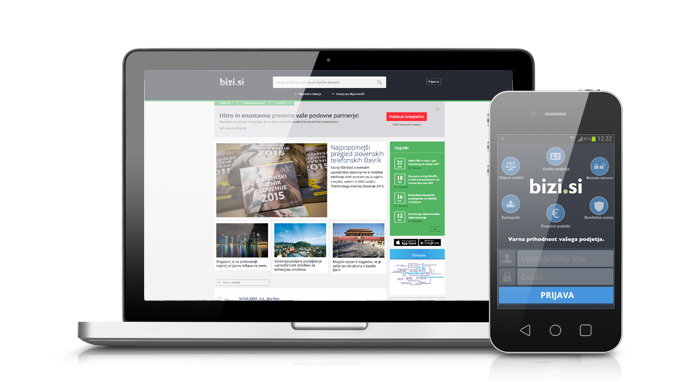 Find new challenges, knowledge and connections through job advertisements and current business events at bizi.si. Bizi Informer makes sure you know about everything that is going on in the business world via e-mail or a text message. Looking for a telephone number? Find telephone numbers, addresses and other contact info for almost 700,000 companies and individuals in the Telephone directory of Slovenia. The Telephone directory of Slovenia offers the bigger yellow pages in Slovenia. Browse through various industries and find the best provider. 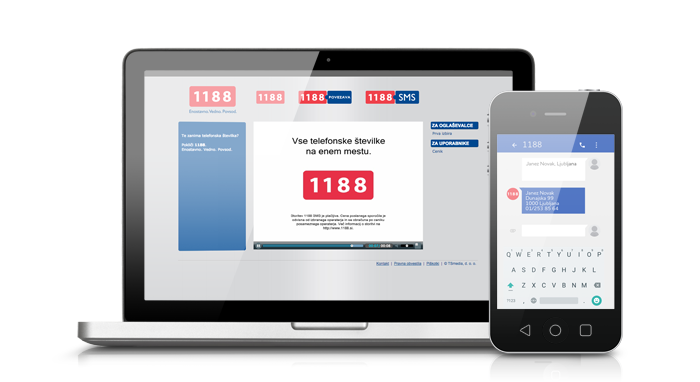 You can access current and complete data on all Slovenian telephone subscribers on the web, on DVD or in a printed edition. Follow exclusive Siol.net’s local, foreign, sports, automotive or entertainment news on digital outdoor displays. Our displays are the go to place for key information such as current time, weather and horoscope. 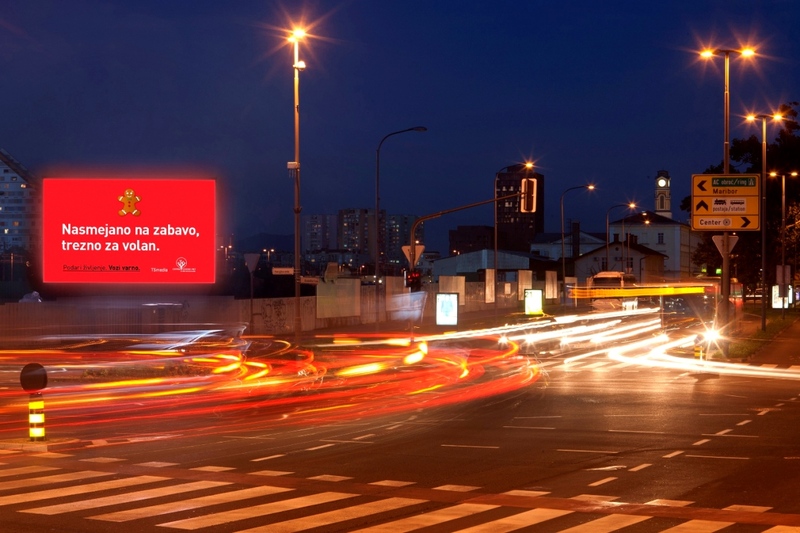 Participate in play contests, enter competitions or tell your story on digital outdoor displays with your mobile phone. You can access key information in shopping malls, post offices, railway stations or car parks across Slovenia and via digital giants at elite locations in Ljubljana. 1188 service enables you to access phone numbers and addresses in a blink of an eye with a call or text message. 1188 service is available 24/7, so you can never find yourself in a pickle without contact information. In need of a handyman, plumber, electrician, home appliance repairman, gardener or a cleaning crew? Call 1188 and get in contact with the right personal right away. You can access opening hours, current events, lottery results, traffic reports, weather forecast and much more with only one call. You can access Dajmedol adult content on your mobile phone or TV (only for subscribers Televizija Telekoma Slovenije). Dajmedol offers you X-rated films, videos, photos, wallpapers, screensavers and sound effects. Dajmedol video shop is available exclusively for subscribers Televizija Telekoma Slovenije and offers them selected X-rated films from all the best studios.